Nevada Library Legislative Day was April 10th, 2019 during ALA's National Library Week, April 7 - 13th. Read the wrap-up below. Check out our advocacy plan to see what's on the agenda. Don't forget to check out our Facebook page for videos and pictures from NLA Legislative Day! I wanted to provide a summary of advocacy events including our Nevada Library Association Legislative Day for April 10, 2019. Leading up to this event, the Nevada Library Association provided three outreach opportunities (March 6, March 27, and April 10) in the Legislative Hall, plus the Legislative Lunch held on April 10. Government Relations Co-Chairs Washoe County Assistant Library Director Joan Dalusung and Carson City Library Interim Director Diane Baker were key in making these events happen and coordinated all activities. 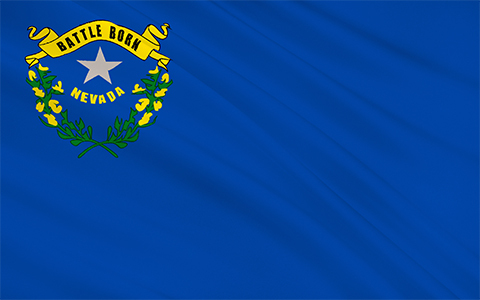 On March 6, March 27, and April 10 Nevada Library Association members held legislative outreaches highlighting the great work the Nevada State Library, Archives, and Public Records. They demonstrated the HTC Vive Virtual Headset, portable Oculus Go virtual reality headsets, as well as a Makerbot 3D printer in action. They also handed out library logo and NLA logo buttons and distributed flyers demonstrating the great work accomplished as a result of SB 549 funding from the 2017 session. From this central location, they chatted with legislators, legislative aides, and other visitors to the Nevada State Legislature. We have numerous pictures of legislators and legislative aides trying out the equipment. For many, this was their first experience with virtual reality or a 3D printer. All were impressed with all the work librarians due for Nevadans. On Wednesday, April 10th over 50 library staff and library supporters came to Carson City. They came from all over the state, including Elko and the Las Vegas Valley. We kicked off the day at the Adams Hub Innovation Center. Joan Dalusung and Diane Baker went over the itinerary and instructions. Each Assemblyperson and Senator had a folder with information about libraries and state library funding. Carson City Mayor Bob Cromwell kicked things off thanking librarians for all that they do. He stated that libraries are the core of a great community and essential for democracy. Next up was State Librarian Dr. Tod Colegrove. He went over state library budget and how SB 549 funding shows the great work libraries are doing throughout Nevada with the $500,000 boost in state budget in 2017. He stated there is a vibrant hum of community in our libraries. This was followed by more details by Deputy State Librarian Tammy Westergard and instruction by State Libraries and Literacy Council Chair Nancy Cummings-Schmidt. They promoted a survey, currently available on the NSLA website, that is going out to legislators to gain their thoughts about the direction of libraries in Nevada. They hope to generate a new report on libraries similar to the one created in 1995. Nevada Library Association President and Washoe County Library Director Jeff Scott spoke next. He discussed how Nevadans checked out over 20 million items last year from their local libraries which is double that of 20 years ago. He then gave a digest on two pieces of legislation, SB 191 and SB 249. Both bills are designed to mandate school libraries and school librarians. Lastly, he broke down the $1.5 million ask for the state library to support Bookmobiles, Workforce Development, Collection Development, and Emerging Technology. Lastly, lobbyists from the Las Vegas-Clark County Library District spoke about strategies, legislation, and other advice to aid librarians throughout the day. Librarians then descended upon the legislature, meeting with legislators advocating for libraries, bills, and funding. This was a huge success. We had over 180 people attend the Library Legislative Lunch in the Nevada State Library and Archives, including librarians, legislators, and legislative aides. We also had time on the Senate Floor. Librarians from around Nevada were personally introduced by their Senator. Later that day, we received legislative good news as SB 191 passed out of Committee into the Senate. This bill was amended to require all school librarians in Washoe and in Clark County be Certified Teacher Librarians by 2025. It protects the positions there were recently threatened by the Washoe County School Board and the Clark County School Board and allows a grandfathering-in period for current librarians that are not certified. Furthermore, another State Library Budget meeting was scheduled for April 19th. We thought that we would have to wait for the Economic Forum on May 1st to get funding, but it might be possible for them to add it during this meeting. Stay tuned for more information. We have stunningly good success so far this year. Thank you to everyone who came out! We have one more event for National Library Week. Vegas PBS interviewed librarians about the state of libraries and National Library Week activities. This will air Friday night, April 12, and will repeat next week. It should be available online on Monday, April 15.